Before I could realize, I was done with my first year at college. It seemed the year went very fast,one trimester got over and then the second and third!! Travelling, studying, socializing, thats all I did. Hardly, I must have done something for myself, except for dance classes. I got a nice three month break after my first year. Many of my friends were making plans, some planning to intern ( I found the idea meaningless, as just after completion of first year, there is hardly anything learned to apply!) Well, I was just excited, my sister had come, and these are the same holidays during which I turned into a maasi. So, I spent the first two months in excitement only, giving time to my sister and tried stuff like t-shirt painting. I decided to volunteer for an NGO. 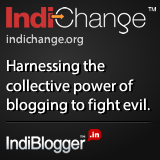 As I had recently shifted to Navi Mumbai, I had no ideas of nearby Ngos. Justdial came to rescue.Enthusiastically, I started visiting all NGOs from the list. But all it gave me was disappointment. Most of the buildings were just named as some NGO or foundation , or trust/aashram with no activity going on. Those were set up just for the benefit of tax relaxation. Then I contacted YUVA, Youth for Unity and Voluntary Action,with some hope. I called them initially to know whether they were looking for volunteers or interns. Surprisingly, I got positive response and was called for a meeting with Mr Anil Igle, the media coordinator. I was very excited and eager to start working. They asked me few questions, my interests,and why I was interested to work with them; so that a convenient project can be assigned. I was a part of project called CLC ( Community Learning Centre) . As a part of it I was supposed to teach children of construction site workers. My first day went good, I introduced myself, took their introductions and played few games with them. 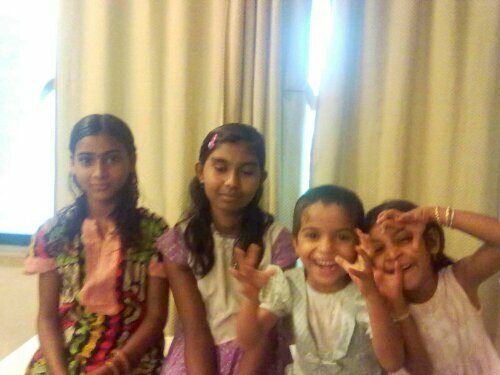 It was difficult for me initially,as the children were of different age groups. I decided to divide them in groups according to their age and teach them separately. The children came from a background, where there was no atmosphere of education. Their parents keep migrating,hence even if they learn something,they tend to forget. Lack of interest and support hinder their educational growth. The need and importance of education was a topic unaware, and strange to them. My first objective was to make them realize why they need to be literate. I gave the first 2 3 days for this. Some found my thoughts agreeable, while some were very stubborn and considered me mad!! Members and employees of the NGO supported me a lot, and gave me ideas also. Atmosphere there was awesome, close to nature, peaceful, with very good hearted and thoughtful people around. I got acquainted with people who have devoted their whole lives for the betterment of society; with no self -gain or greedy motive behind it. They chose social work as their profession; because they wanted to do it, not for gaining publicity or making money; but for the satisfaction of joy of giving. Respect for them truly. I spent a lot of time in library,reading books. I helped the library incharge Mrs Charushila in sorting of books according to age groups. I assisted Charu in ‘ Read to Grow ‘program where the concept was to promote reading in municipal and Zila Parishad schools so that children don’t quit school. Most of the students left school,as they din’t wanted to study, or for a stupid reason, boredom. 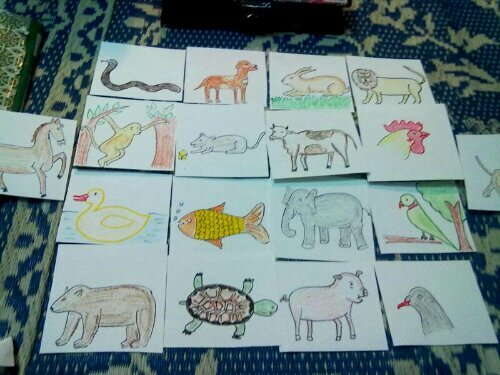 So, we took reading cards with colourful picture stories. We also made them play games and organized puppet shows. Then Mr Vinod,another NGO employee, and member of CLC project, mentioned about Inspire Awards. 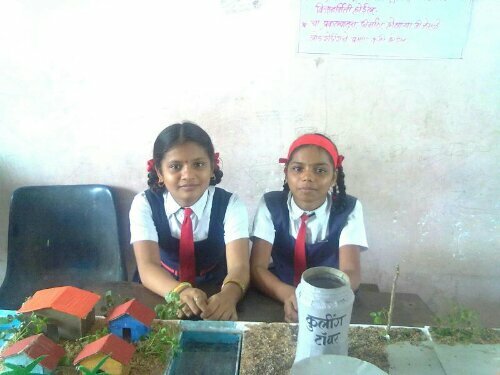 It aimed to make students of Zila Parishad school aware of science and technology and inspire them with new ideas. When he came to know I am an engineering student and from science background, he included me too. Only four days we had for the main event, time was less but something had to be done. Meeting was called with school principal, my idea got approved and we started working. There is a settlement amidst the Kharghar hills, OA camp. I went there with Vinod sir. The settlement was beautiful, and the way there also ; partly because of the weather. I liked going there also, even though I got the opportunity for a few days. Vinod sir and I represented YUVA ( OA Camp) and it made me feel proud. The principal, gram panchayat all liked the project, considering the time constraints. – Teaching is not an easy job, you need lots of patience for it. – To see a person smile, and to know you contribute something for that smile, gives ultimate joy and internal satisfaction. – Not everything is done to get returns ; social work and charity has a value. Thanks a lot. 🙂 Very sweet of you. 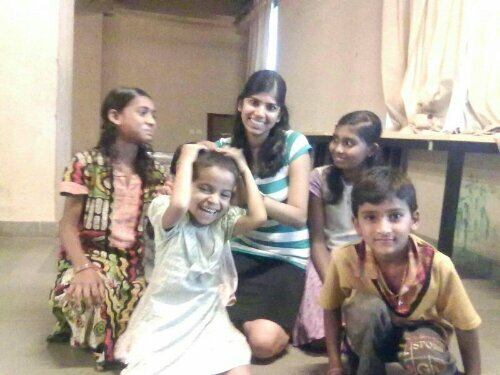 Good work Prakriti, You should try and keep working with the NGO, it is a fulfilling experience. It’s great that you find time to share your time with others who have less than you. Three cheers . . to your efforts. My wife and daughter have also been involved with social work. Like the way you write. Keep it up. Look to orient your activities in a leveraged manner to impact larger sections of scty. All the best. Liked your post on the dam visit in kharghar. May visit some time soon . thanks for sharing . I read out all feedback..Good decision nd good job! !